Yesterday was a classic Spring day. Mid 60s, sun, and a little breeze. After work the plan was to hit the trail for a 5 mile run. Getting lost in the music or my thoughts on a day like yesterday is so easy. I ended up running over 7. It felt so good. Hubby has been asking me if I would like to do a local race next weekend. It will be 5 miles along an old tank trail. I was wavering. But after yesterday, I said sign us up. So next Saturday(17th), we will hitting that famed trail. It will be a good gage to how my training for our half marathon is going. Besides, Hubby is excited about the t-shirts. Which within itself is strange! They have a tank on them. Boys and their toys…..
Today is going to be even better weather wise. Yea!! Cannot wait til after work. I will be ready for a nice long run through the woods. Cannot think of a better way to spend a Spring afternoon! In February I thought I was a little crazy for setting a goal of running a half marathon for each season. I was worried that I would not physically be able to keep my body ready. However, what I did not realize was how much fun it was going to be!! This past weekend I did it!!! Go me! Out of all the races, this one will be my favorite. This was my own race. Remember due to scheduling, I invented my own race! It was on a course that I am very familiar with. I did not run with a watch. I only had music that was tucked away where I could not sneak a peak at the time. I ran and ran and just enjoyed myself. I was even singing along the way. I felt so good. I even saw a group of five deer darting through the woods. It was cold and I did a little skating on ice. It was magical. I felt so good that I decided to add a little over two miles at the end. When I got home Hubby was waiting there with a huge glass of water. He asked before I headed out if I wanted a ‘finish line’. I just said no…. He said he was tracking me on his phone. Got to love those apps! He said my total mileage was 15.5 miles. Not bad. Best part, I set a personal best. I broke the 2 hour and 15 minute barrier. Some of you are reading this and thinking, girl you are slow!!! Yep, but I am okay with that!!! I started thinking about my next running goal. I have a lot that I would like to do. I just need to prioritize. 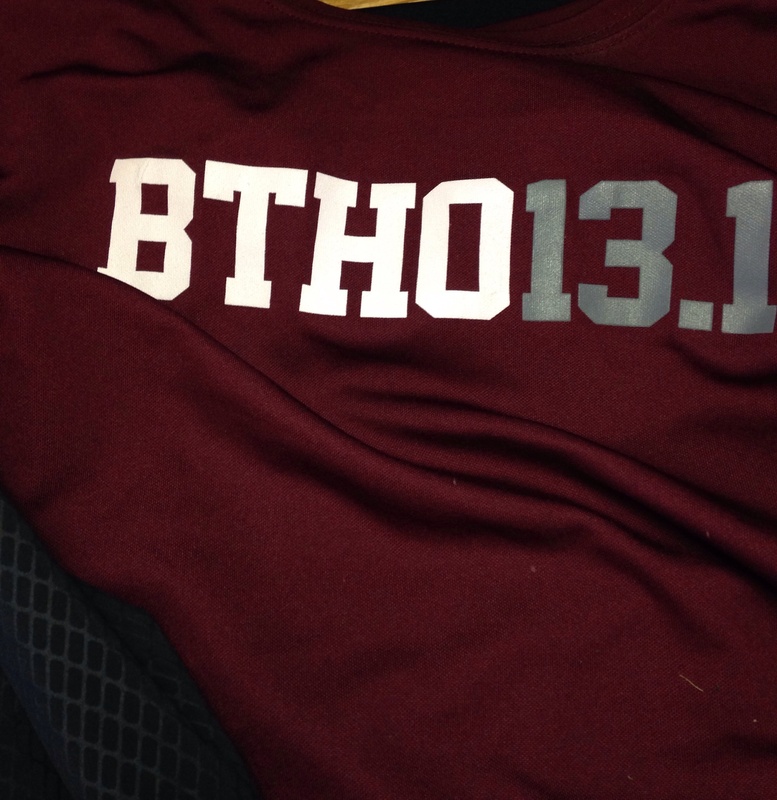 I wore my favorite winter running shirt, you Aggies fans know what it means!!!!! Also, my very dear friend created my one of a kind bib for the race. Boy, I felt special. I love that it was me-rathon! I wish I was that creative. 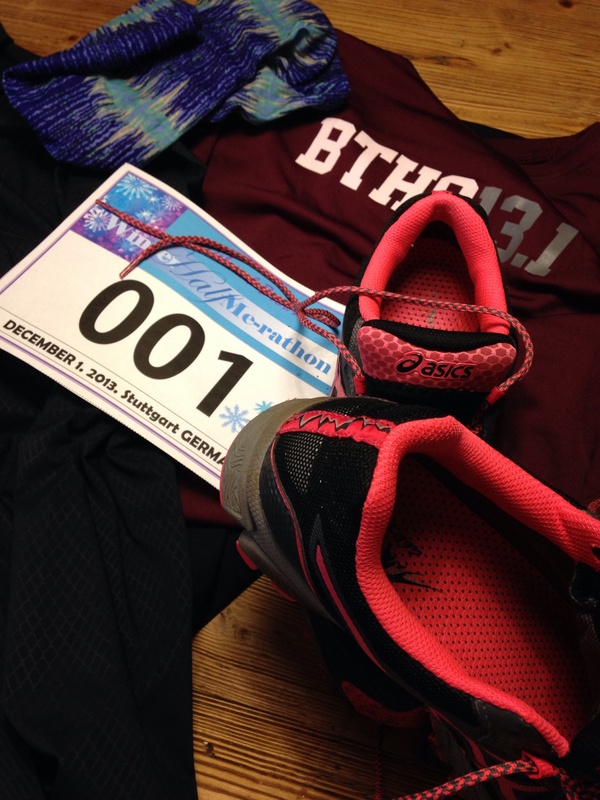 At the beginning of the year, I set a goal for myself to run four half marathons. Actually it was to run one half marathon in each season. I have successfully completed three this year. Go me! I knew going in that finding a ‘winter’ race was going to be difficult. Boy, was I right! I had two possible race for this last leg of my goal. Each a trail race. I was okay with that even though the one trail race I did do this year was my slowest time. When I started making plans, something always came up. Events that Hubby and I had already agreed to do months ago were on the same two weekends that each race is scheduled on. I have been really bummed about this. Decisions. Be selfish and say sorry I have a race or do the right thing and honor our commitments. Last night, I stopped wavering. I made a decision. We will honor our commitments and I will still run my half marathon. What, you are thinking???? My half marathon will be for me. It will be on my trail and it will have one entry…. ME! There will not be water stations, Highway to Hell blaring at the start (why do they always play that song??? ), cheering crowds along the way or a t-shirt waiting for me. 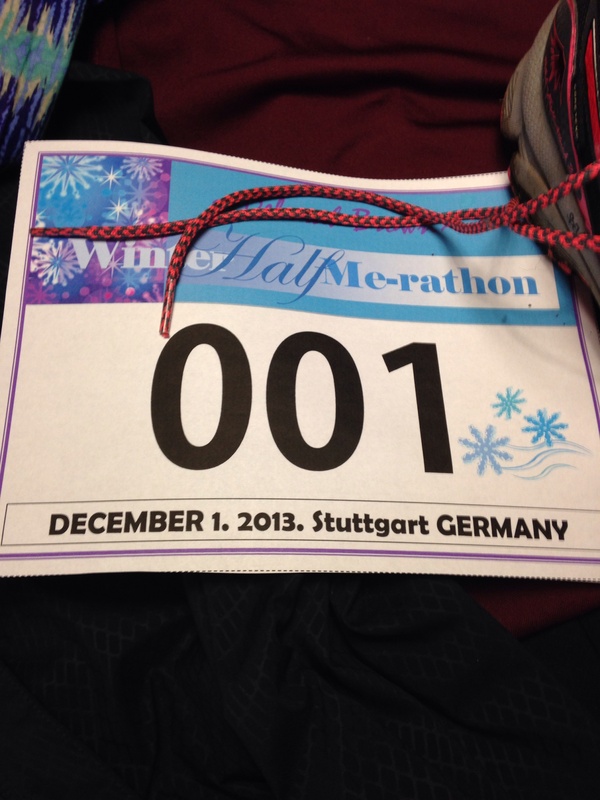 Instead to accomplish my goal of running four races, I will stage my own half marathon on 1 December at 800 am. I will of course be running with a time in mind but it will be a race for me to just enjoy the art of running. Hubby even told me that if I meet my time goal he will buy me a t-shirt. 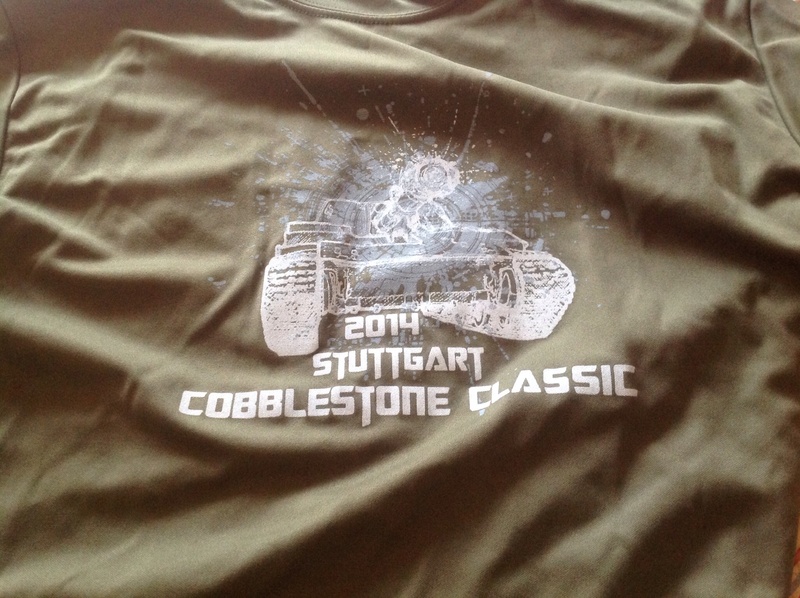 I might have to rethink the t-shirt thing though…. I have been eyeing a pair of black boots for awhile…. What seemed to be a really frustrating situation has actually turned out to be something I’m looking forward to. I have stepped up my training with only one month to go before the big day. YEA!!!! At the beginning of this year, I made a challenge to myself. It was simple. I wanted to run a half marathon in each season of the year. I am three fourths of the way there. This weekend I will register for my winter race in November. This time Hubby will run also! Last race was all about time. 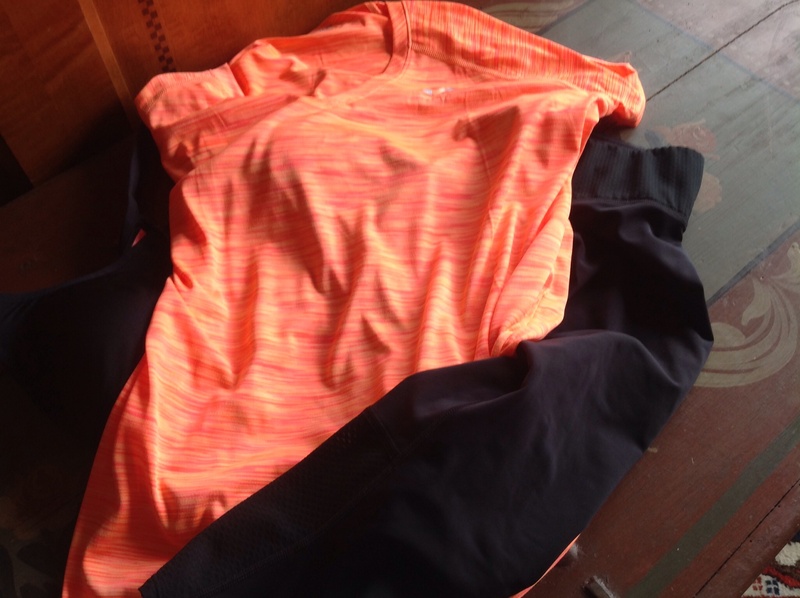 This race….I have not decided yet. Hubby asked me this morning why I had to have a goal. He said why not just run it because you want to and you can. Hmmmm….. I have to say that thought has really unnerved me. I guess because I’m one of those people who really enjoy setting goals and setting out to accomplish them. Hmmmm……. I have taken it very easy this week. However, I am itching to get back into training mode. This weekend as I run my trail unplugged, I will mull over my goal for this late November race. You think it is possible to have a goal where you actually do not set a goal? Hmmmm…..